View Downtown condos for sale in Edmonton here. The average sold price for a high rise apartment style condo in the downtown core of Edmonton has now reached $334,434. 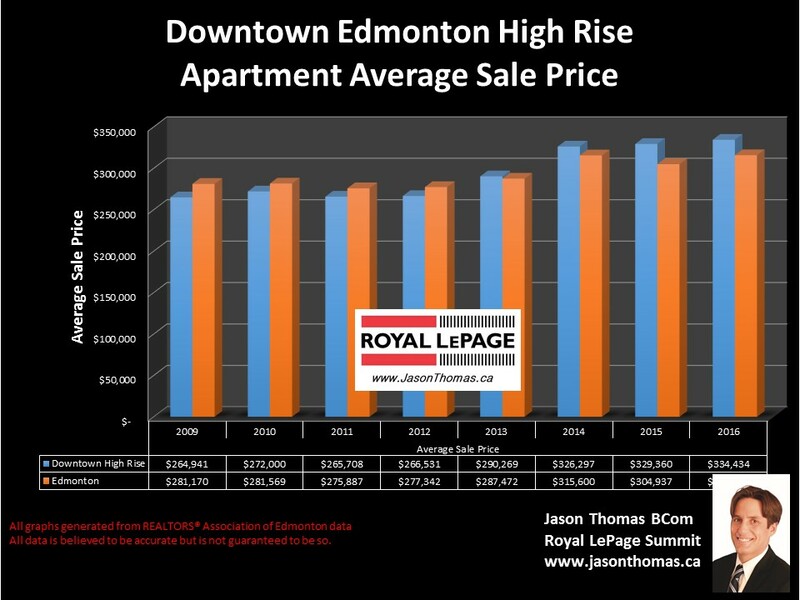 That is an increase of roughly $5000 over the 2015 average sale price for high rise condos in Downtown Edmonton. The average time it is taking to sell a condo in Downtown Edmonton in 2016 has so far been 60 days. The highest recorded selling price for a high rise condo in downtown Edmonton this year was $1,450,000. The complexes that had the most units sell in them in 2016 include: Alta Vista in Railtown, Cambridge Lofts, Capital Centre, the Century, Cosmopolitan, Fox One, Hillside Estates, Icon 1 and Icon 2, Quest, and Vivacity One.